Today I welcome to the blog Taryn Elliott, who is on a blog tour celebrating the release of her first Entangled title published in their Ever After line: Ashes and Wine. But today we are not discussing books but rather music since the hero of Ashes and Wine is not only a wine expert but also a guitarist. So I wanted to know Taryn's take on what is it about men who play music that makes them so irresistible? Read on to find out her answer and don't forget to enter the TWO giveaways below. There’s something deeply intense about a man that lets himself go when music is involved. All that creativity and passion right there bleeding out of an instrument. Whether it’s a microphone or a guitar, or a piano—three of my personal faves—there’s nothing quite like it. Men tend to be really internal. The men in my family don’t really talk about their feelings unless there’s a good bit of alcohol in their system. LOL But music is different. Music gives away all those hidden pieces in both a man and a woman. Personally, I have NO musical ability. So I’m even more obsessed with musicians. Especially songwriters. People like Tim McGraw have a phenomenal voice, but I’ll go with Matt Nathanson and his scruffy, playful self every time. Because his songs mean everything to him. He wrote them. He sweated over the lyrics and the melody. He’s a total nerd for the music and all of his songs are pieces of him. I needed something like that to give Tessa a way inside of his walls. Royal is so buttoned up, so locked in his own head about his responsibilities and losing the most important man in his life. Music was a way for him to put those thoughts in order. And it was something to share with his father that put them on even footing. And it was the first time Tessa got to see inside him. To understand that his cool façade was just that—a mask. His music gave her the key to him. The men in the Andreas family are all so different, but as the eldest, Royal shoulders the most responsibility. When I was creating him it just seemed natural to add something so far removed from the winery. Something that was his and that he didn’t have to be responsible for, just do it for pleasure. And yet it blends so perfectly at the same time. 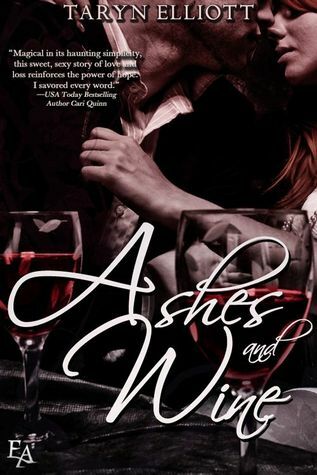 For a chance to win an ebook copy of Ashes and Wine just let me know what you think about music. Does it touch you so personally or is it just a peripheral part of you? For me…music is as important as breathing. Taryn Elliott is from the great state of New York—upstate NY, thank you very much. Her family consists of a brother who takes care of keeping the snarky side of her alive and a dog that is more spoiled child than mutt. She counts her writer-friends as the glue that keeps her crazy ideas more in the sane category, and her non-writerly friends as the reason she’s not a complete hermit. She can’t go a day without laughing, and falls in love with each and every one of her leading men as she’s writing their book. Music is life and every story has its own soundtrack. Taryn is shamelessly addicted to the internet and adores hearing from readers. Before Tessa met Royal Andreas, her bookstore was on the verge of sinking. 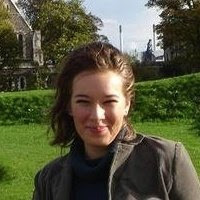 And before Tessa met Royal Andreas, she didn’t mind being single. But Royal brings in business with monthly wine tastings featuring his family’s signature vintages–and brings Tessa’s heart to a standstill with intense gray eyes that look on her with nothing but cool indifference. Yet one searing kiss between the stacks gives Tessa a glimpse of the passion smoldering beneath–and a secret pain further revealed when Royal fills in as the musician at a tasting event. Every note of Spanish guitar tells a story of family tragedy, loss, and ongoing suffering that’s made Royal afraid to lean on anyone…even if he needs Tessa’s sweet flavor more than the richest wine. Only her strength can save him when his world crumbles to ashes. But has Royal learned trust too late to claim Tessa as his own? To be entered just leave a comment answering Taryn's question: What do you think about music, does it touch you so personally or is it just a peripheral part of you? 2) Taryn is offering up a Graphics Package including a Facebook banner, icon, Twitter background, and Website topper. Giveaway is open worldwide and ends on 16 November 2012!